Change the way you read the news. The Good News web app. Your personal news stream. Free. 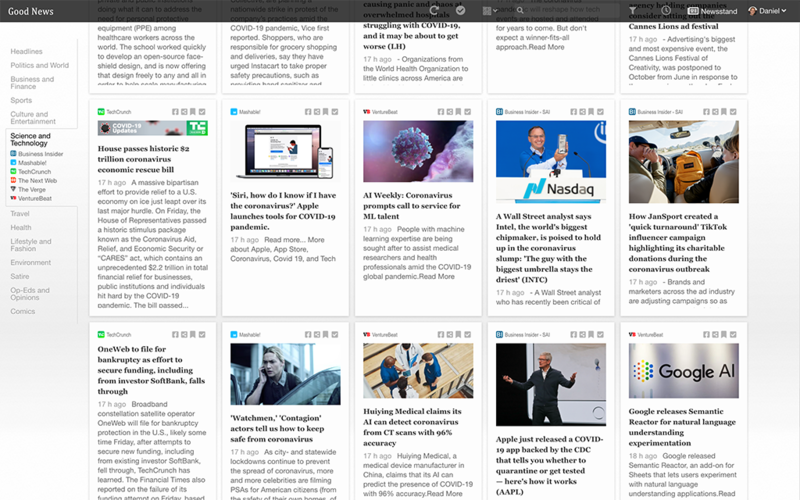 Good News helps you discover and share the latest news on your favorite topics from the sources you trust.